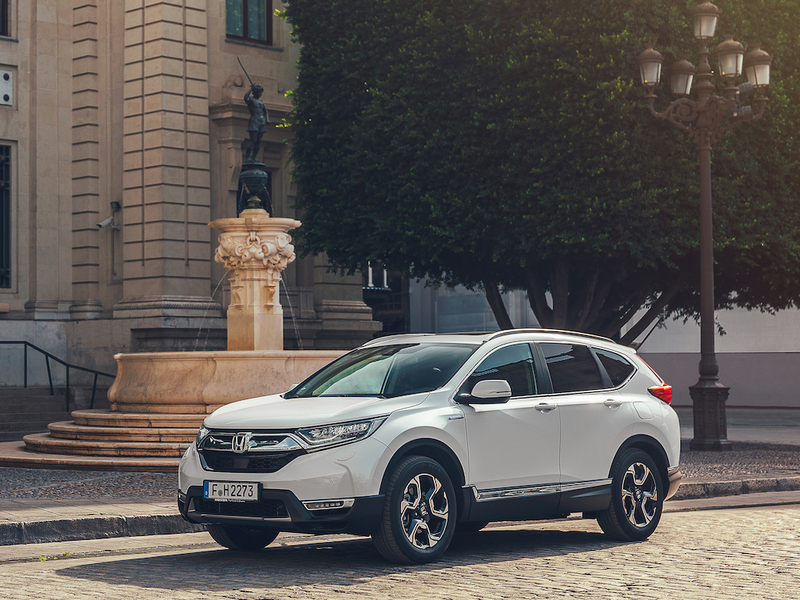 Honda has confirmed pricing and specifications for its inaugural CR-V Hybrid, which will join the petrol model in showrooms next February. Debuted at the Paris Motor Show, the Hybrid effectively replaces the previous 1.6-litre diesel as the carmaker places stakes on fleets switching to alternatives and brings similar CO2 emissions, despite the interim switch to the WLTP cycle. Available solely with five seats – due to the hybrid battery – and the eCVT automatic gearbox, the Hybrid gets a choice of two and all-wheel drive and uses the familiar Honda trim levels, covering S, SE, SR and the top-of-the-range EX. Prices will start from £29,105 for a 2WD S grade and top out at £37,255 for an AWD EX. This compares to the petrol model that went on sale this summer, priced from £25,995 for a 2WD S grade manual and rises to £35,445 for a seven-seater AWD SR CVT model and £36,455 for a five-seater AWD EX CVT. CO2 emissions stand at 120g/km for 2WD Hybrid models under the WLTP-derived ‘NEDC Correlated’ combined cycle, rising to 126g/km for AWD versions. As with the petrol version, all grades get the Honda Sensing suite of safety features, which includes collision mitigation braking system, forward collision warning, lane keep assist, lane departure warning, road departure mitigation, adaptive cruise control and traffic sign recognition.